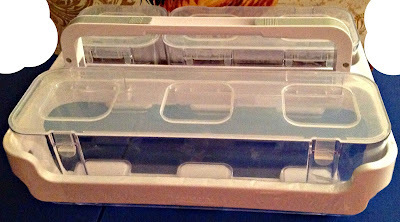 The Stackable Caddy Organizer (DEF29003) features three removable CLEAR containers to store all your supplies and when removed from the frame can stack independently. 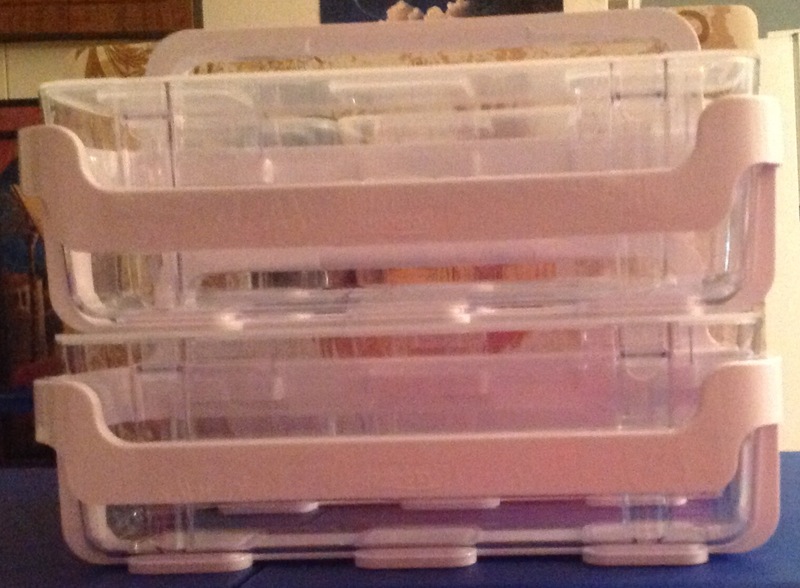 Cassandra's review- A good size and they stack tight, which is a huge plus. My family was so happy to find things to fill it up. The design is enjoyable to look at and it is easy to handle. It is light enough to carry or move to another location. 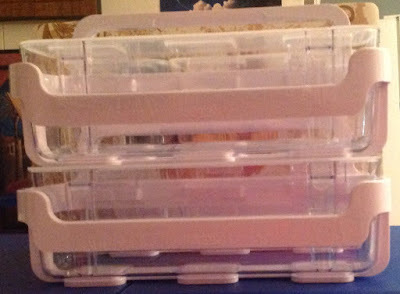 Perfect for crafters or homeschool teachers, like me! 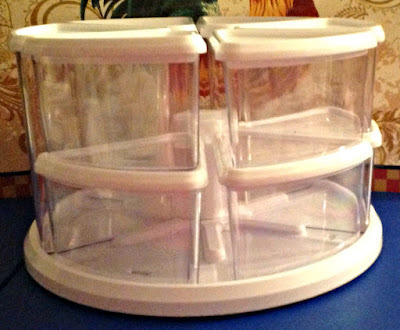 Cassandra's Review-- If you are like me and must have everything organized, this is a great product to get, it makes things easier to see and with the rotating base I do not have to life and move it around. I can even place my essential oils (smaller bottles) inside. One of my children suggested we use it for a first aid kit in case of emergencies and fill it wil little flashlights, bandaids, batteries etc... I like when my family gets involved in a project!